TORONTO (Aug. 19, 2015) — Fight Network, the world’s premier 24/7 television channel dedicated to complete coverage of combat sports, presents a live broadcast of RFA 29: USA vs. Brazil this Friday, August 21 at 10 p.m. ET, pitting top American prospects against top Brazilian prospects with current UFC welterweight champion Robbie Lawler and former UFC light heavyweight champion Lyoto Machida serving as honorary coaches.Fight Network’s live broadcast of RFA 29: USA vs. Brazil will air nationwide in Canada and globally in over 30 countries across Europe, Africa and the Middle East. The domestic U.S. broadcast airs on AXS TV. Emanating from the Sanford Pentagon in Sioux Falls, South Dakota, RFA 29 will be headlined by an RFA featherweight title fight between top contenders Ricky Musgrave (14-4) and Raoni Barcelos (8-1). In the co-main event, South Dakota’s own Jordon Larson (6-1) will be tasked with facing Brazilian juggernaut Ackson Junior (5-0). 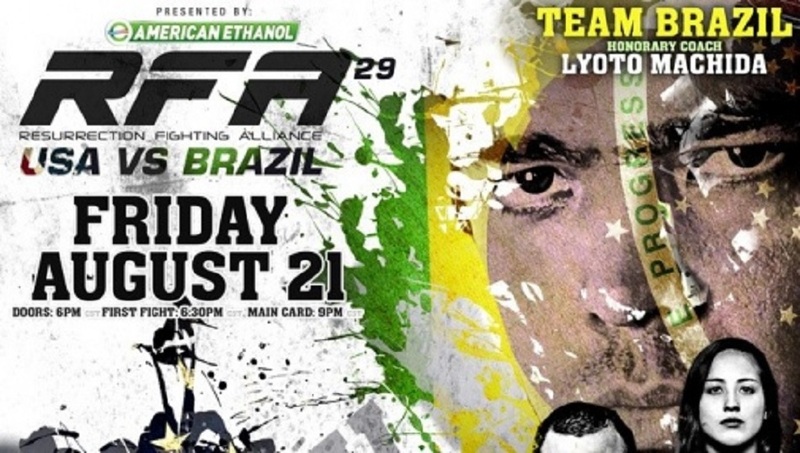 RFA 29 will also feature a trio of exciting bantamweight bouts, as Terrion Ware (13-4) meets Leandro Higo (14-2), Joey Miolla (5-1) faces Pedro Falcao (6-1) and Matthew Lopez (5-0) risks his unblemished record against Kevin Clark (4-1). Rounding out the main card is a light heavyweight showdown between undefeated Devin Clark (4-0) and Dervin Lopez (7-2). 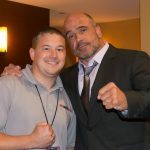 For a full listing of Fight Network’s broadcast schedule, please visit tv.fightnetwork.com, follow us on Twitter @fightnet, become a fan on Facebook and visit us on Instagram @fightnet.